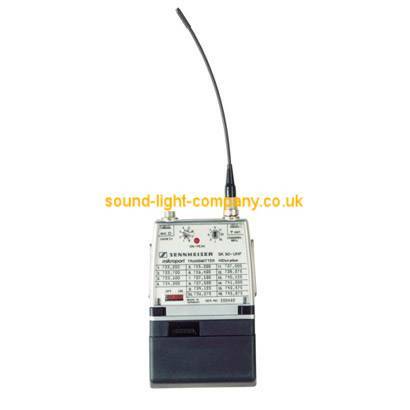 The SK 50 pocket transmitter fulfils the most stringent demands on operation and mechanical stability. It is above all used in musicals, shows and for broadcast applications. The power pack is not included in the delivery!